Cotswold Craftsmen takes your privacy very seriously and treats all your personal data with great care. 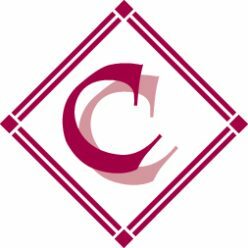 Cotswold Craftsmen acts in accordance with the applicable data protection legislation. This Privacy Statement describes which personal data is collected and for which purposes this personal data is processed by Cotswold Craftsmen. It also states which rights you have under applicable data protection legislation. We collect your email, address, telephone number, billing/delivery address when placing an order. The information we collect is used to process any orders. We also collect your name and email address when you use any of the contact forms on our site. We may use these details to contact you with relevant information to your enquiry. We may collect you name and email address in our gallery or at craft shows if you choose to receive an email newsletter about our activities. We use the information we collect about you to answer your queries and process your orders. With your consent, we will contact you via our marketing and sales channels (email) about our activities such as craft shows and gallery events. We may share your personal data with our third party service providers who provide services such as payment processing, information technology and related infrastructure provision, the processing and delivery of marketing communications to you, email delivery and other similar services. These third parties are only permitted to use your personal data to the extent necessary to enable them to provide their services to us. They are required to follow our express instructions and to comply with appropriate security measures to protect your personal data. Third parties are subject to confidentiality obligations and may only use your personal data to perform the necessary functions and not for other purposes. If you want to know what personal data we have collected or process about you, you may request us to provide a copy of your personal data by sending an email to ???? 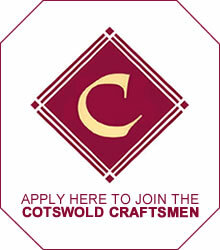 @ cotswold-craftsmen.org. We will ask you to identify yourself. We will not provide you with a copy of your personal data to the extent that the rights and freedoms of others are or may be adversely affected. We will only retain your personal data for the period necessary to full fill the purposes outlined in this Privacy Statement. This may be up to 4 years, unless a longer retention period is required or permitted by law. We have done our best to make sure that this Privacy Statement explains the way in which we process your personal data, and rights you have in relation to this. We may change this Privacy Statement from time to time to make sure it is still up to date and we will notify you if we make any material updates. We may also notify you in other ways from time to time about the processing of your personal information.